Sure, every blog in creation has already raved about the amazing resource (and time eater!) Pinterest is but I figured this was as good a time as any to throw another fire on the log. hi. my name is Stefanie and I'm addicted to Pinterest. If you want to enable my addiction, please follow me or my favorite boards. Or if you are a fellow addict, let me know your user name and I'll stop by for a fix.  And speaking of following, I've created a Brooklyn Limestone page on Facebook a while back. I'm not sure what I'm supposed to be doing with it (if you have an idea, let me know) but if you like my blog and use facebook, I'd be tickled pink if you liked it over there too. So have I wasted enough of your day? Hope everyone has an amazing weekend in store. There should really be a 12-step program! I pin at www.pinterest.com/skye_mclain! :) I've already been following you! yes, it is addicting...I'm trying to keep it under under...but its hard...especially now that I'm following you! Thanks Amy. Im following you now too. You have some gorgeous boards (hee - that sounds naughty.) I just followed you too. I'm following you too now. I love how you have a royal wedding hats board. I'm Catherine and I am addicted too! I am heading over to follow you now. Thank you for all of the wonderful inspiration! Awesome! I love finding new people to follow on Pinterest. My username is MrsRuffledFlats. I just started a blog a couple weeks ago after taking a blog break for a year while planning my wedding and decided to create a Facebook page too right off the bat so I don't have to worry about setting it up later, but I also don't know what to do with it! I was a late adopter to the pinterest craze so I've been working extra hard to catch up! I'm following you because I know you have super fab taste. Happy pinning! you can see my pinterest addiction @ Susan Starkey :) ♥ your stuff btw! Thanks Aimee! Whats your user name? Another follow! C u there. Girl, I started following you on Pinterest the second I confirmed my log-in and password. Love Pinterest, love your boards, love you. I already followed you! I really do love pinterest for how easy it is to use. I pin at: http://pinterest.com/fromtheblock/ - I am thrilled that so many people are pinning these days. There are some really great ideas being shared! Well its not really social networking like facebook or twitter. Its more like flipping through an endless magazine full of good ideas and being able to save your favorites. Agreed. It's so addictive. I love it for bookmarking all of the recipes and home ideas that I find to incorporate into my own home. It's perfect for somebody with a terrible memory, like me! Totally obsessed with pinning. At the same time, I find that I am very stingy with my pins. I'll only pin if I REALLY love it, as to not get a cluttered page! Ah, my web and home personalities are at least consistent! lol, ok - for the record, I just found out about Pinterest about a week ago and if it weren't for you I might have forgotten about it so thank you for this post! If you wanted to create a post about how to get the best use out of it or know of an existing and interesting post about it that you wouldn't mind sharing, I'd love to see it. Now, I need to get to digging through your boards over there! Have a great weekend. So addicting...know I'll love yours!! Come by and have a look see~I'm following you too! An iPhone app? They already have one. Dangerous! Really? Uh oh, I'm in trouble! yep, totally addicted here too! I am totally addicted. But such a great way to keep ideas and inspiration in one place! I've added you to my following list. This post is like a whole year's worth of presents! The crayon art or a version of is perfect. We need color in our office building and I have wanted our kids to do something colorful yet pleasant. I looked there at pinterest.com and they have tons but they all seem to be done in rainbow colors. It will be fun to have my son do one and we will not have the crayons attatched so the finished art is just color - likely blues and greens. Thank you for sharing that site. Fabulous! I'm now a follower! I've been addicted to pinterest for quite some time now. But I've found it's more productive than Facebook, right? I'm at http://pinterest.com/tmw715/. Pinterest is eeeviil....but I loooove it! I noticed a Halloween board so I will be making a visit. I too am a new comer to Pinterest. It is like having a magazine filled with everthing I like to look at. I just don't see anything wrong with that. Like everyone else who's posted, I too am an addict. Wasting time never felt better. I'm officially following you by the way. You can follow me if you'd like at pinterest.com/tmanzoni. Anyway, I try to avoid going there, so much, because I don't know when to say, "quit"! I'd be happy to invite you (if I can figure out how!). Shoot me an email with your addy. on my way to find you, I love to pin!! I too have become seriously addicted to Pinterest and have been ranting on to all my friends about it. I am pleased to hear that other people also share the same obsession. Pinterest has absolutely been devouring my time ever since I came across it. I'll sit down and all of a sudden it's an hour later and I have no idea where the time went!! A ha ha! I am signed up for Pinterest, and my email keeps updating me that people are "following all of my boards," but I haven't pinned a single thing. I'm too scared of getting sucked in. I really need to, though, because there's all kinds of stuff I want to remember. I think Ive been following you for a while now. I must have seen your account after you posted on twitter. Yes totally. Im the same way. I dont want to have too many pins but then its hard to be so disciplined. There is quite a lot of amazing stuff on there! Wow - I had no idea so many of you were pinning right along with me. Awesome. I just went thru and I believe I started following everyone who commented with their username. Yea for enabling! Thank you for following me. You are my first follower. Yippee. Yay! I just started and I've already pinned a few of your things via your site. I pinned several images that I've downloaded here and there online. While I don't think I've missed anything from your site, if I have, I apologize and would love to give credit where due, so please do let me know. I'm so excited that you are on there because I ADORE your style! My sis just introduced me to your blog two days ago and I'm alreadry hooked! i loooooooooooove pinterest. i pin at http://pinterest.com/erinkmercado/ i'm planning my twins' first birthday party for december and have been using that as my main inspiration. i have the app on my iphone, i'm on it all the time, it's a little wonderful mixed with a little crazy-time-waster!